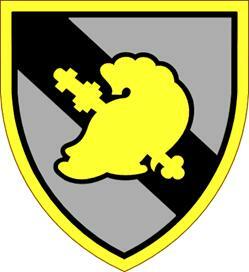 This page is dedicated to the "Goldcoats" who have supported the United States Military Academy's Academic Computer Center since its inception. 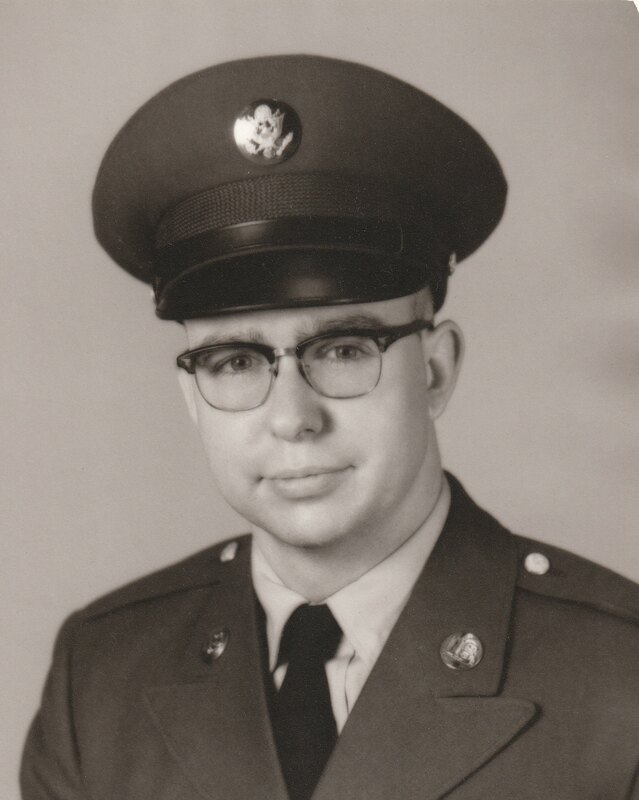 LEBANON, N.H. — Col. William Frederick Luebbert, U.S. Army (Ret. ), who was instrumental in the development of academic computing at the U.S. Military Academy during the 1960s and 1970s, and, in retirement, was a resident of Hanover and Lebanon for nearly 40 years, died at home at The Woodlands on May 20, 2017 after a lengthy illness. 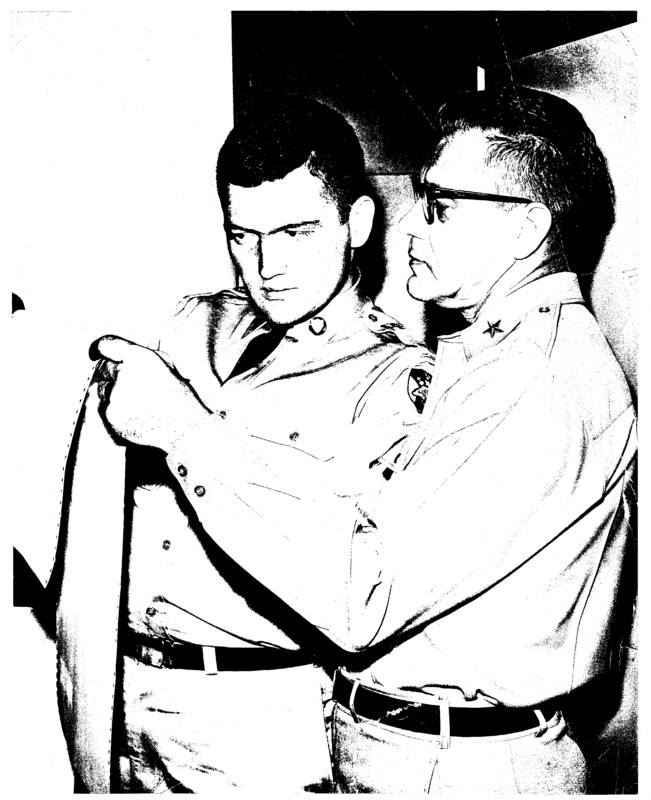 Col. Luebbert was born on November 5, 1927 in San Francisco, CA, the son of William M. and Ruby (House) Luebbert. He entered the U.S. Military Academy at West Point, NY, in 1945, graduating on June 7, 1949 with a B.S. degree in electrical engineering. Later that afternoon he married Nancy Connell of Erie, PA, who had graduated from Wilson College a day earlier. 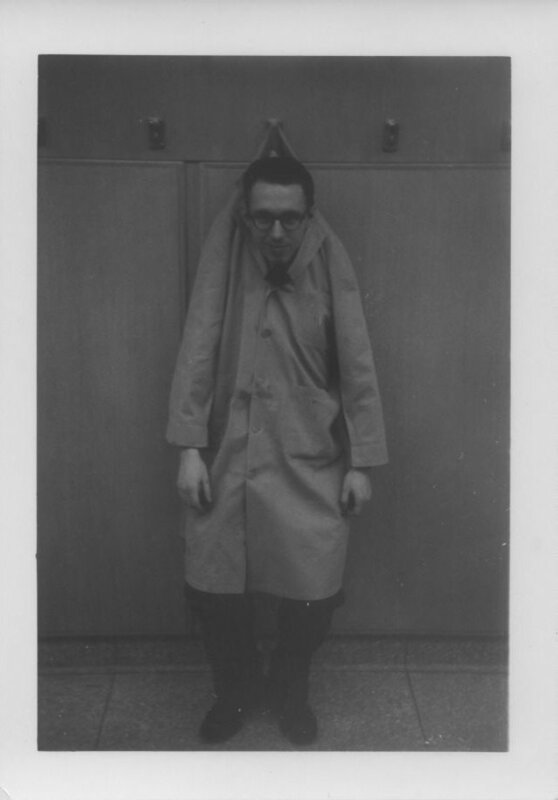 After a tour with the army of occupation in Germany, Bill headed to the West Coast in the fall of 1953. His career was turning toward its ultimate course: computers. By 1956, Bill and Nan had three daughters—Elizabeth, Susan and Nancy. 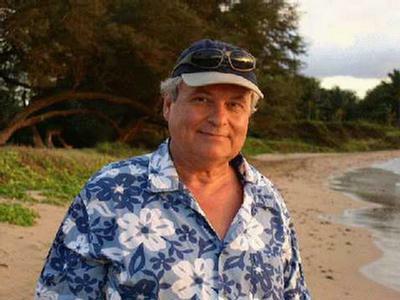 Bill was completing three graduate degrees from Stanford University, culminating in a Ph.D. The family moved to Fort Monmouth, NJ, where Bill was in charge of the Army’s earliest mobile computer—an electronic array squeezed onto a single flatbed trailer. Called MOBIDIC, it helped inspire his love of whales for the rest of his life. In 1961 the Luebberts returned to West Point. 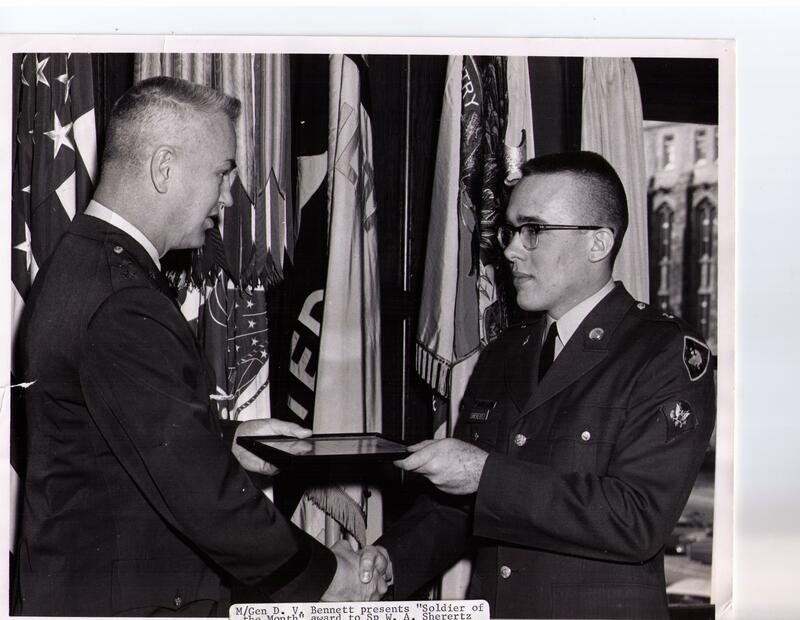 With the exception of a few short assignments, they would remain at the Military Academy until Col. Luebbert retired in 1977. 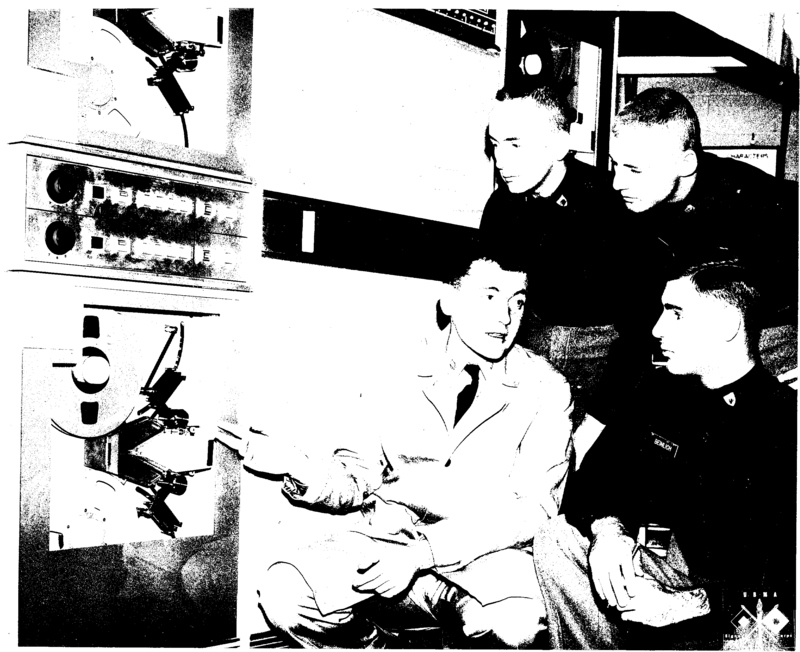 The 1961-62 academic year at West Point found several academic deans collaborating to champion the use of computers in cadet education. They set radical goals (for the day): Every cadet should have hands-on exposure to computers, beginning in their first year; high priority should be given to making computer power available in every academic department, every cadet company and, eventually, to every classroom of the academy. Major William Luebbert was selected to lead this effort, and was assigned to the Dean’s staff as director for computing with the central Academic Computing Center as a primary responsibility. He was granted effective tenure as one of West Point’s first four permanent associate professors, a position he held until he retired in 1977. The evolution and development of academic computing at West Point paralleled similar initiatives at Dartmouth College. Over the years, Col. Luebbert collaborated with members of the Dartmouth faculty, including John Kemeny and Tom Kurtz, prompting the Luebberts to retire to Hanover. For several years, Col. Luebbert held positions at Thayer School of Engineering and the Kiewit Computation Center at Dartmouth. Post-Dartmouth, he established the Computer Literacy Institute, a one-man enterprise to educate the marketplace on new computers. Then, in the 1990s, he took part in education-training-implementation projects for the International Executive Services Corps (IESC—a nonprofit organization dedicated to equitable, sustainable economic growth in developing countries) that took him to Albania, Egypt, Nepal, the Soviet Union and Zimbabwe. From its opening in 1986 until recent years, Bill and Nan were regular volunteers and committee members at David’s House, the resource for families with children being treated at Dartmouth-Hitchcock Medical Center. He was also active with computer literacy programs in the Upper Valley and in SCORE. Col. Luebbert is survived by his wife of 67 years, Nan; daughters Elizabeth (Peter) Stoll of Albuquerque NM, Susan Luebbert (Chris Hill) of Pittsburgh PA, and Nancy Luebbert (Jim Wallis) of Moscow ID. Grandchildren include Virginia Stoll of Seattle WA, Rebecca Stoll of Hamden CT, Chris Congdon (Anne Daily) of Evans City PA, and Brian Luebbert-Hill of Pittsburgh PA. He also has a great-grandson, Marcus Congdon of Evans City PA. Donations in Col. Luebbert’s memory may be made to the Foundation for Peripheral Neuropathy or the Save the Redwoods League. Arrangements are by the Ricker Funeral Home & Crematory in Lebanon. 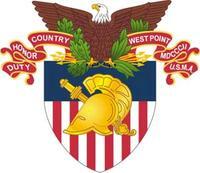 Col. Luebbert will be buried at the USMA Cemetery at West Point at a later date. special ADP Seminar for Army Generals during August, 1963." peripherals. I believe this was also taken during 1963." 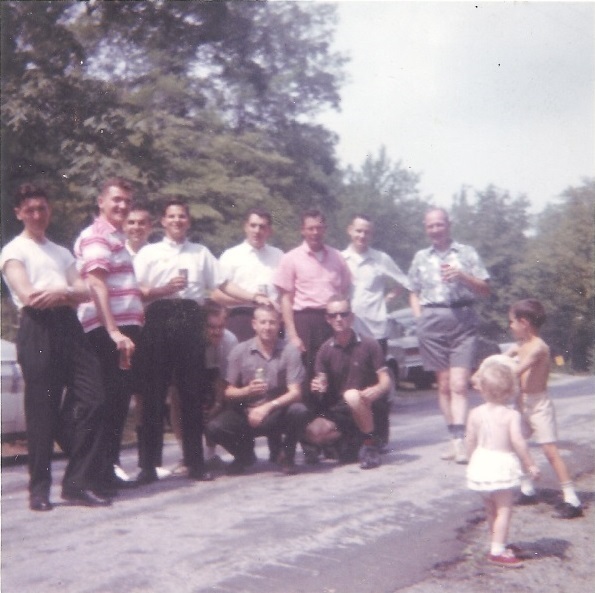 "I believe this was ACC picnic during the summer of 1964. Do not know to whom the two children belonged." 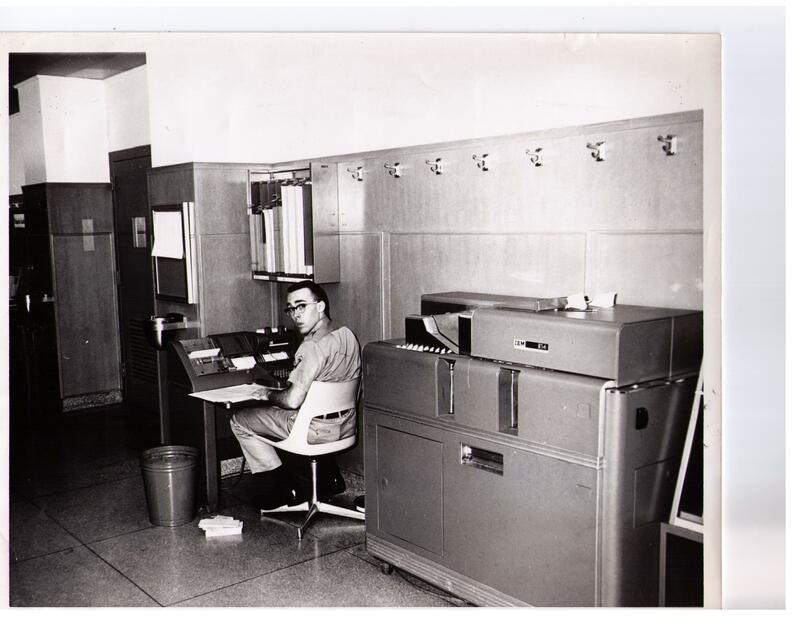 The GE-225 mainframe in 1966, IBM Selectric typewriter console with the tape drives are in the background. To the left is the high-speed card reader, and to the right is the GE Datanet D-30 and its Olivetti-Bull card reader. The D-30 was an early piece of data communications equipment. 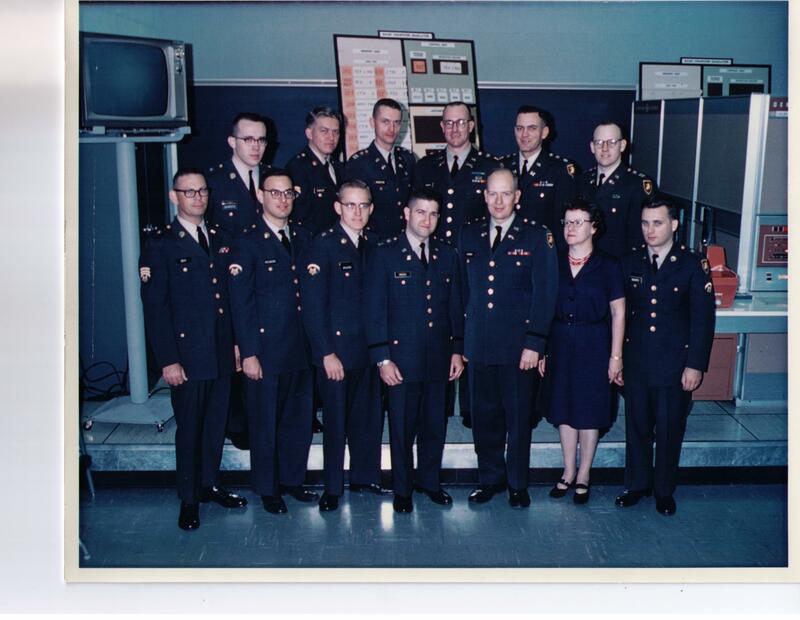 Some of the Goldcoats were involved in writing the software to allow Cadets to enter and run Fortran, or as we called it CADETRAN, programs from their barracks. The curtains are closed. The large window looked out on the hallway of the bottom floor of Thayer Hall and the MP&L Department. 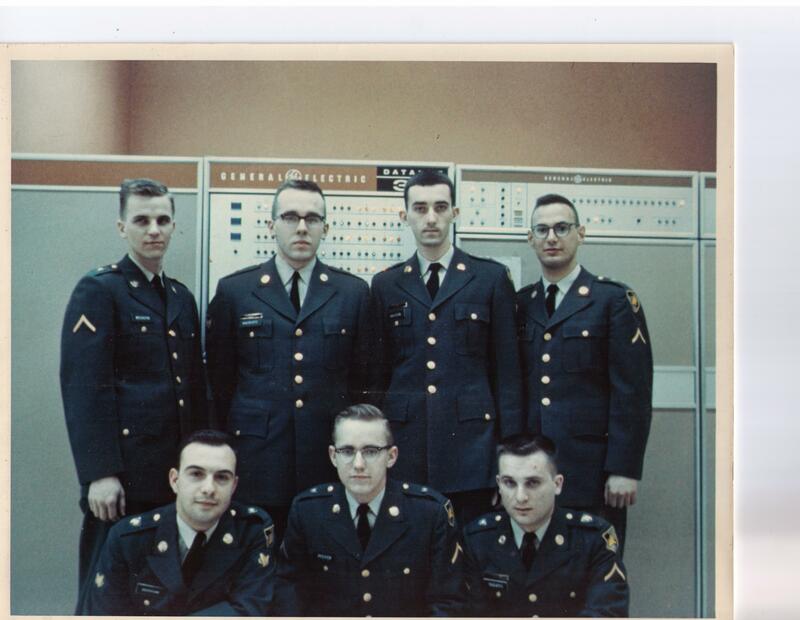 Bottom Row: Sp/7 Berg, Sp/5 Presberg, Sp/5 Pfeifer, Cpt. Mansi, Ltc. William F. Luebbert, Miss Sullivan, Sp/5 Sabato. Top Row: Sp/5 Sherertz, Sp/6 Parker, Cpt. Preston, Maj. Parker, Ltc. Lombard, Cpt. Leech. 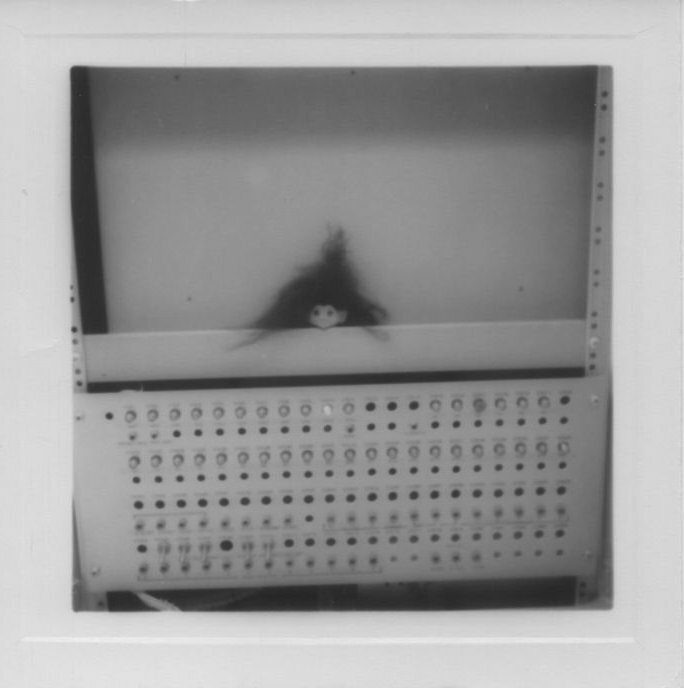 SP/5 Sherertz at the IBM 029 keypunch. Also shown is the IBM 514 Reproducing Mark-Sense Punch - aka "The Jam-O-Matic"
Yeah, sometimes we just goofed around ... but at least Ed was wearing his "Goldcoat". News Flash: Rick Wigginton has checked in! He lives in Nashville, TN. Welcome, Rick! We're glad to have you back among us and recognized here on the Goldcoat webpage! 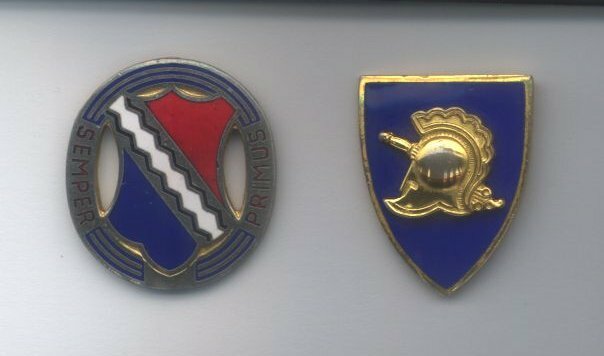 We were assigned to Headquarters Co., 1st Btn, 1st Inf. 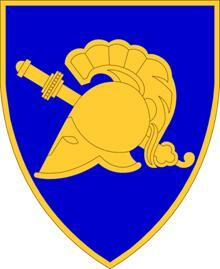 Click on the 1-1 Coat of Arms below to learn more about the historic 1st Infantry Regiment . Click on the IETD Graphic below to view the USMA webpage for today's Goldcoats. This page is maintained by Mike Flowers - email: k6mkf 'at' hotmail 'dot' com - and is by no means complete or totally accurate, as it was generated from memory, some information I found on the web and what few old photos I have. 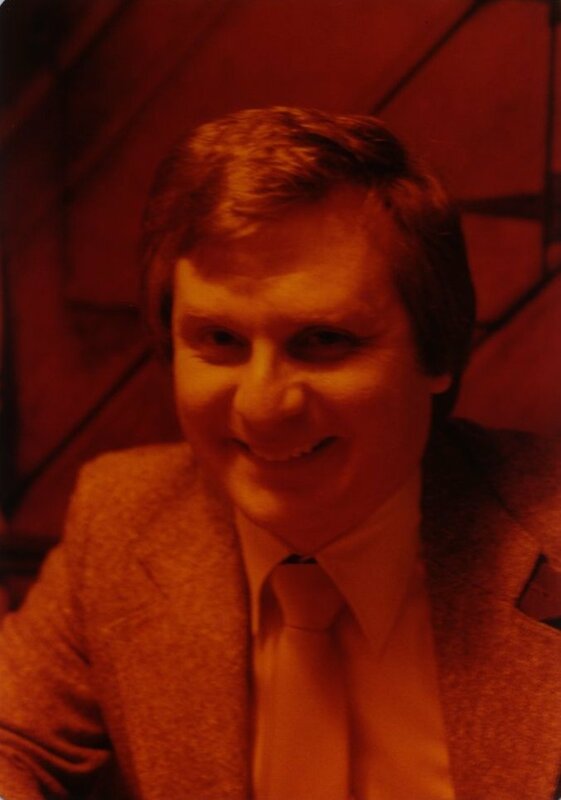 I'm in contact with Bill Sherertz, George Gladfelter, David "Pres" Presberg, Joe Sabato and Gerald Davison, and we hope to have more pictures and information posted here. If you were or are a Goldcoat and would like to be recognized on this web page or have photos, corrections or materials you'd like to see posted here, please send me an email and we'll get started. If your name and picture are posted here, please check in and let us know if the information is correct and how you're doing.